← Clinique Even Better: Makeup to Cover Hyper-Pigmentation, Acne Scarring and Age Spots! I think the last time I did a “favourites” post was 2012! I thought I’d make up for that by doing this 2013 beauty favourites for the year! These are basically the products that stuck with me for the whole year and I pretty much used daily! 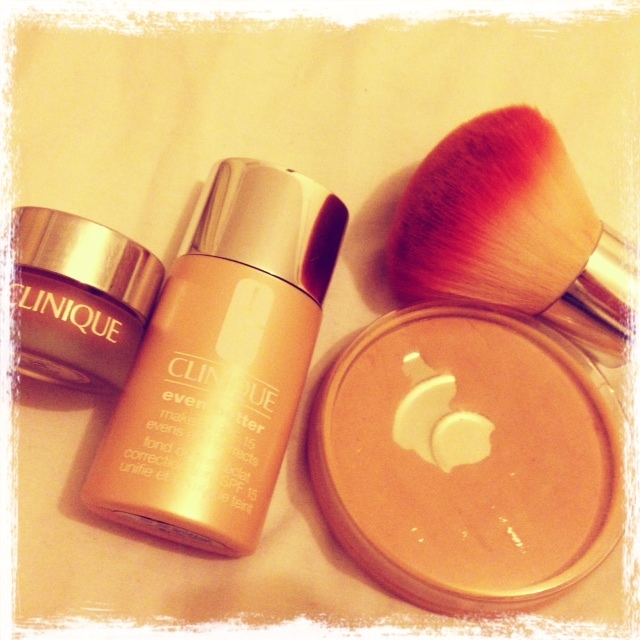 Foundation: Clinique Even Better SPF 15 If you read my last blogpost you’ll know why I love this. You can read my review for the foundation and concealer here! Absolutely love this foundation, it’s oil-free, the coverage is great, it photographs well and you don’t feel like you’ve got your face caked on! Concealer: Clinique Even Better Perfect for covering sun damage! Exactly what I want! I only discovered this during the year but I’ve used it since. Takes a while to master the blending but I would say it’s been my favourite concealer yet! Powder: Rimmel Stay Matte As you can see, it’s well used! I bought this after I watched a YouTube video by Tati (GlamLifeGuru) and it’s actually SO GOOD. It’s affordable, it keeps me shine free, it’s not ‘cakey’ and I just can’t say enough good things about it. Give it a try! Mascara: Revlon Lash Potion (Waterproof) and Maybelline Black Lash. I use waterproof on my lower lashes everyday (which is a great tip if you are prone to those smudgy black lines under your eyes!) I discovered the Revlon Lash Potion, again, via GlamLifeGuru. It wasn’t available in the UK and Ireland until September (I THINK), so it was just in time for our Wedding day! Perfect, doesn’t clump, volumising – it’s beautiful. (And the packaging is pretty cool!!) Black Lash is just a makeup staple for everyone. It has to be, I love it, I always have and I use it daily! Eyeliner: Soap&Glory Smoulder Kohl. This is THE BEST pencil liner I have ever owned! Hands down. I use it for my waterline and it stays ALL DAY and there’s never any smudgy marks under my eyes! It also has it’s own sharpener, which is handy for travel! This is definitely one to try! 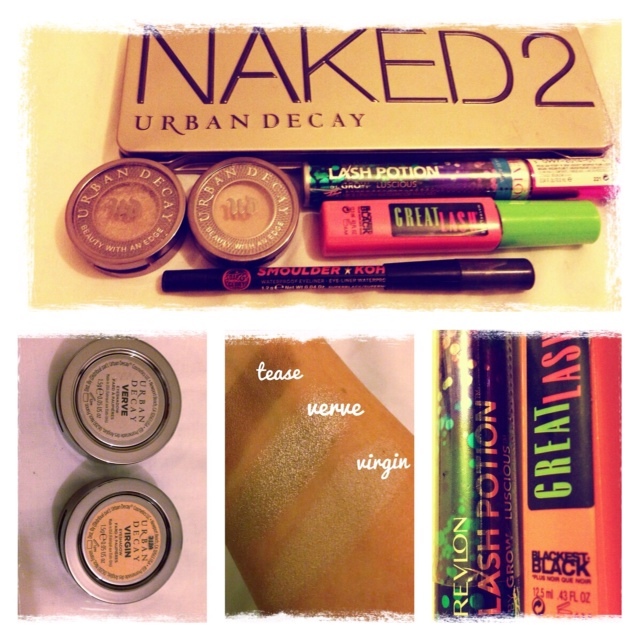 Shadows: Urban Decay Eye Shadows – Verve and Virgin and Naked 2. I really like a neutral look on the eyes. I realise Verve and Virgin look very similar, but they are different! Verve is a silver that doesn’t have that blue tinge to it which happens a lot on my skin. Virgin (from Naked Original) is great for the brow bone and inner corner. Tease is a matte brown, that’s perfect for the crease and subtle enough for everyday wear! Love these colours – I really need to change it up though!! Gloss: Clinique Vitamin C Lip Smoothie in Strawberry Bliss: This is a gloss pen with a brush top and it’s so luscious and delicious. It’s buildable as well so you can have a lip gloss sheen type of coverage, or build it to be more like a lipstick! Pencil: Maybelline ColorSensational Liner in Sweet Pink: This works so well if you fill in the whole lip and add a little gloss. The colour really stays put and can just touch up the gloss. 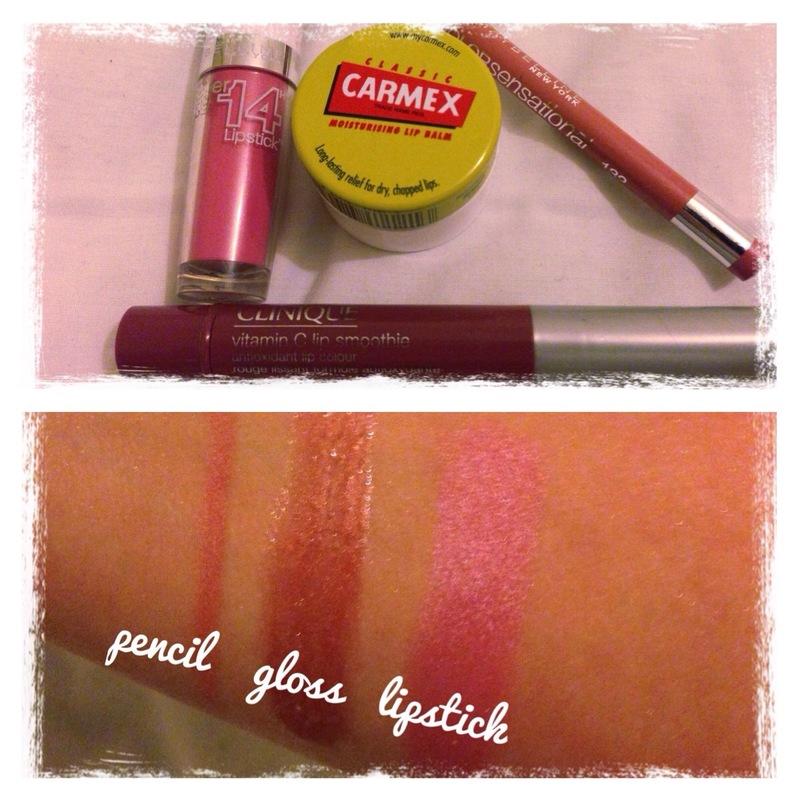 Balm: Carmex: I just love Carmex – my lips get really chapped in colder months (which is pretty much every month in Ireland) and they always feel so soothed and lovely when I use this stuff! 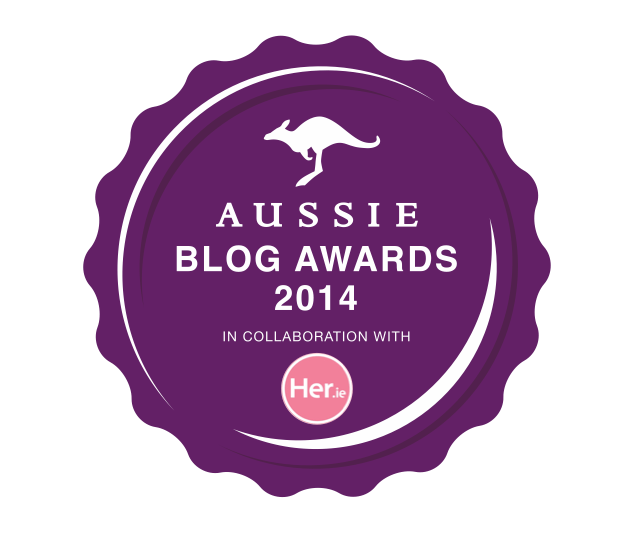 This year I was all about pinks and neutrals! Essie: Allure – Essie nail polishes are great, they’re long wearing and fairly chip resistant! This colour is neutral and discreet and I think it’s really pretty. I wore it on my Wedding day too! Island Girl: Hawaii – This is so old! Haha! I got it in Vegas, but this year I wore it pretty much all throughout the summer. It’s so bright and fun – I love it. Think it’s pretty much gone now though, 😦 sad times! 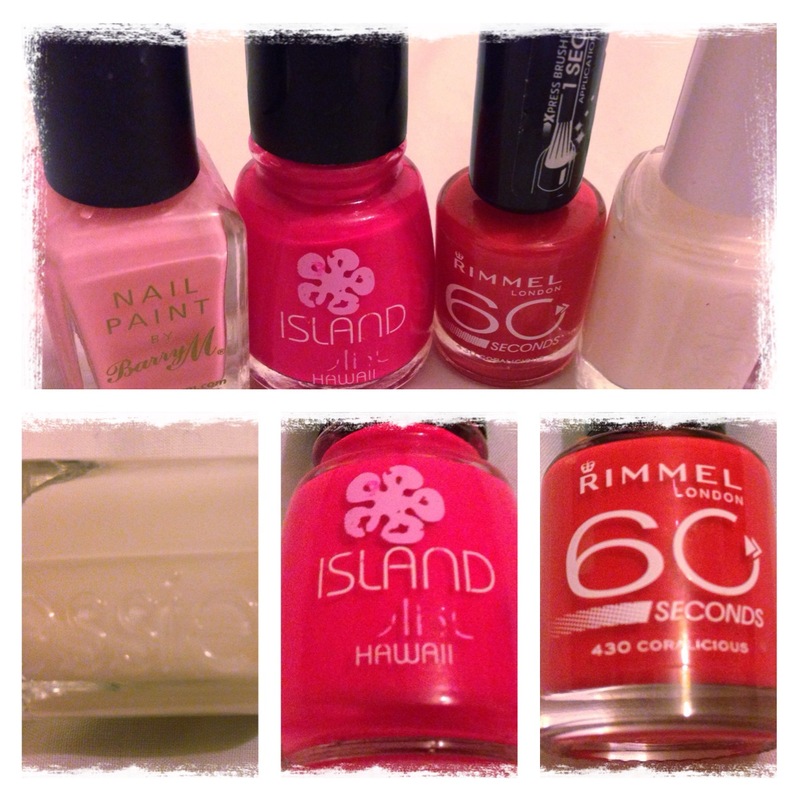 Rimmel: Coralicious – A really pretty coral pink. I think this is one of those colours that just suits all skin tones, it’s lovely and a slightly more subtle ‘bright pink’. I repurchased it twice and I will be again — hope they still make it!! 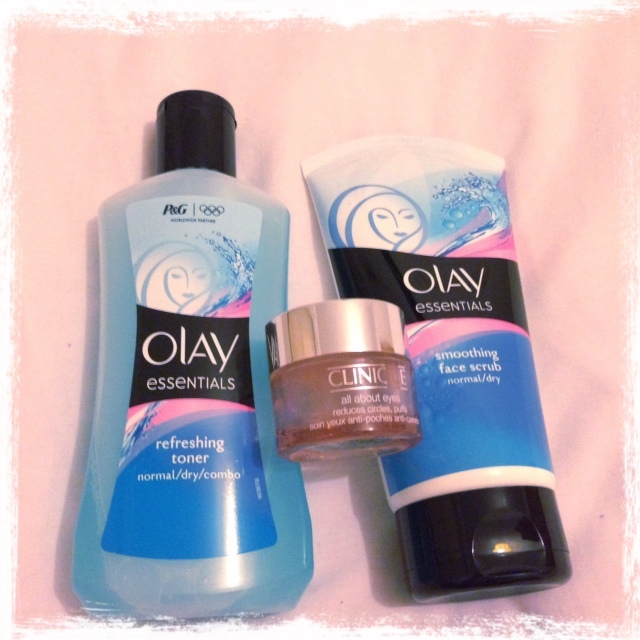 Olay Face Scrub and Toner: This is the BEST facial wash I’ve ever used. You can find out why here! Clinique All About Eyes: This is such a lovely eyecream, it’s so light! It actually can be used as a primer too! Reduces puffiness, darkness etc – I can’t honestly say if it made me look any better but I definitely felt better using it! That’s why it’s EMPTY in this picture! Tesco “Wake Up” shower products: These are an incredibly affordable range, which I think are a dupe for Original Source but I actually like the Tesco range better! The Cinnamon and Brazilian Orange was by far my favourite – it smells delicious! If you haven’t tried it yet, and it’s available near you – definitely pick some up! 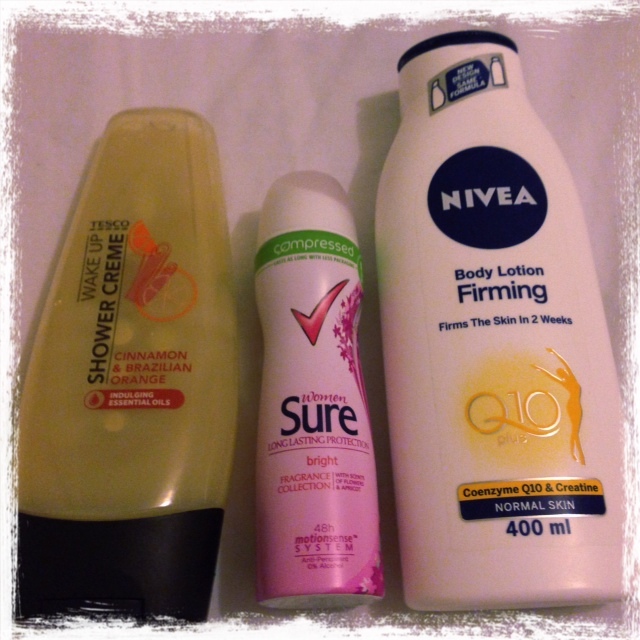 Nivea Firming Body Lotion: I love lotions. I love that they dry quickly and you don’t feel all clammy and damp. This one smells so nice and clean! I always feel great putting this on after a shower, and I need firming too so the fact that it does that is a bonus! This has been my favourite moisturiser for years and it’s still just as great! Sure Deodorant in Bright: I actually started using this after I saw it on IntheFrow on YouTube. She was so cute when she was describing how nice it smelled that I went out that day and bought it! It does smell lovely and I used so many cans of it throughout the year! ETI Hairdryer: I love this thing, I’m on my third one – that’s how many years I’ve been using it. It’s salon quality and it’s so good! If you have thick hair that’s a bl**dy nightmare to deal with – BUY THIS HAIRDRYER! 2 x Denman HairBrushes: These are great quality brushes that last a really long time. I find them very heat resistant (some brushes have actually melted on me!!). I use the Denman Classic Styling D3 and the D76 Extra Large Round Brush! 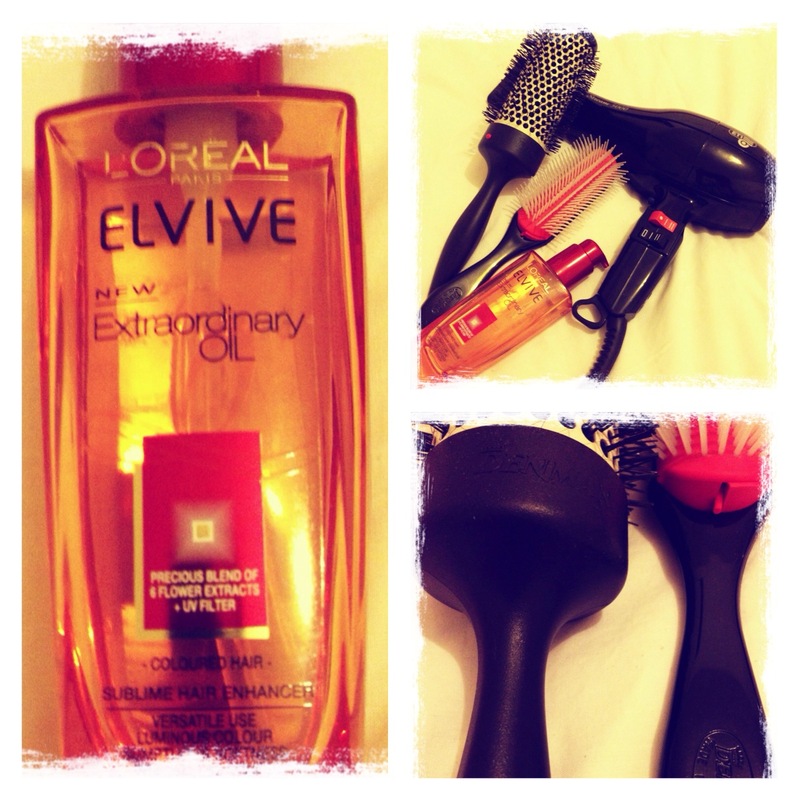 L’Oreal Elvive Extraordinary Oil: The one I use is the Colour Protect because at the time, I had ombre hair! But it really is a miracle hair product, it instantly smooths hair, it feels soft and lovely and it doesn’t weigh it down or give flyaways that greasy look! Really nice product – and I’m surprised it worked out for me as I had an allergic reaction to L’Oreal Elvive products in the past – may give some other products a try! So those are my favourites for 2013! If you’ve done a favourites post, link it in the comments! Thanks for reading! !